Enjoying the outdoors through backpacking does not need to be done alone. 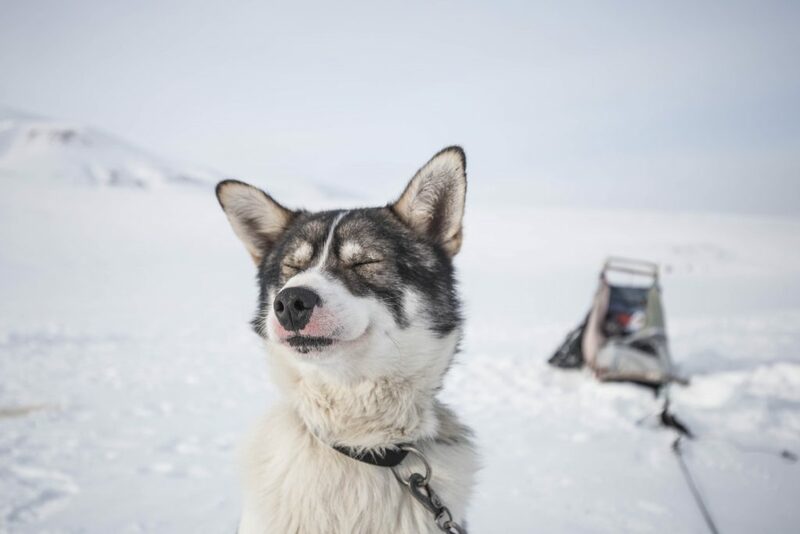 In fact, you can bring your best furry friend along for the adventure. In order to prepare them for any such excursion, find them a high-quality dog backpack. They’ll be glad to have a mission, instead of making you lug around their water and treats. But how do you know which dog backpack to buy? 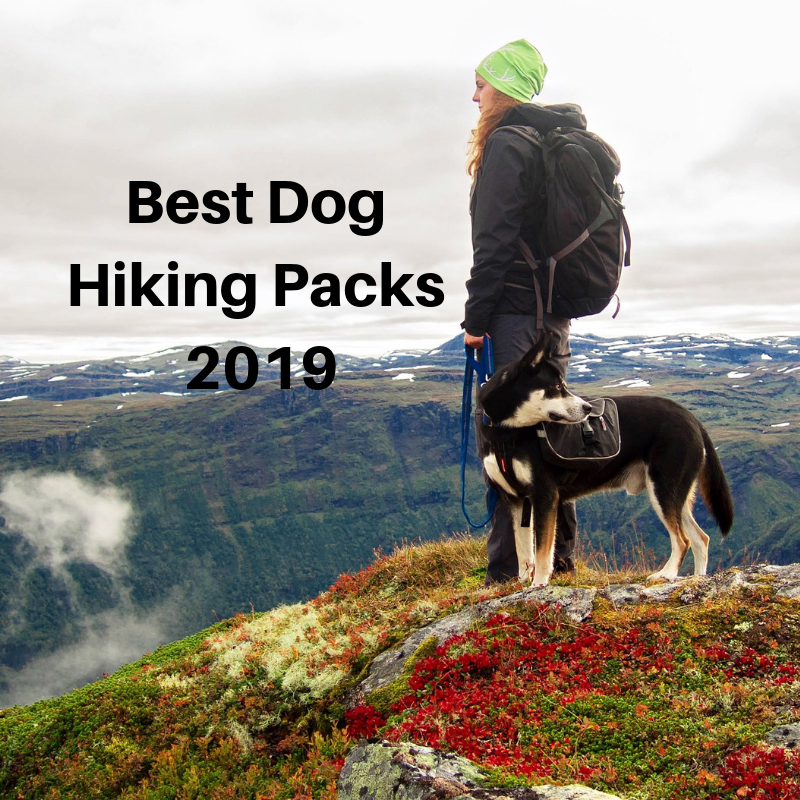 In this guide, we have mapped out the best dog hiking packs for your pal. Also, we found out the answers of the most important questions you should ask. Can My Dog Handle Backpacking? Always be prepared. That’s the motto for just about an outdoors activity. Use these tips from REI to ask your veterinarian if your dog is ready for the trip. • Is he or she physically ready? This can be based on your dog’s age and health. • Is my dog fully vaccinated? Depending on the area you will be backpacking in, your dog should be given preventative medicines. •Does my dog have a fully equipped immune system? Your vet will know if your dog is ready to handle the elements. Why Should I Take My Dog Backpacking? • Perfect outing to escape the stresses of daily life in a relaxed, healthy manner. • Have your dog with you to give you a natural hiking companion. • Notice nature with your dog at the helm. • Your dog can give you added protection on the trails. • Bond with your furry best friend in an environment with limited distractions. • Keep both you and your dog healthy with the physical exertion involved. • Improve the mental well being of both you and your canine pal through the rejuvenation of nature. • Reduce the amount of boredom, which can lead to destructive behaviors and depression. How Do I go About Backpacking with my Dog? Before deciding to go on a trail with your dog, you should first consider all of the laws and etiquette that goes along with taking Fido along. Here is a list of factors from Orvis to take into account when having your dog along on the trails. Some hiking locations are not dog friendly. If you are unsure whether your furry friend can join you then go online or call the ranger station that is assigned to the selected hiking destination. You can read here about my favorite Hiking Trails in the States. Some trails require that you keep your dog on leash while others don’t mind if your dog is free by your side. Also be sure to choose the right kind of leash that should be non-retractable and six feet or fewer in length. Your dog should have the appropriate leash manners such as the ones listed below. • Easy to hike with on a loose lead. • Your dog should be able to heel at or slightly behind your knee. • Won’t constantly yank on the leash, making for an unpleasant hike. On your hiking excursion, you and your dog might come across bicyclists, horses, and other dogs. Make sure that your dog can handle each of these situations without becoming overly stressed out. When coming across other hikers or trail inhibitors, be respectful and give them the right of way. It is best to keep on the trail and not disturb any of the leaves and wildlife around. If you need to go off-trail, then it is best to try to make the most direct path to your destination in a line perpendicular to the trail. If you are walking above the tree line, keep on the rocks as much as possible. Although not what most want to do, it is still important nonetheless. The Leave No Trace policy applies when going backpacking with your dog. The best way to go about doing this is to bag your dog’s excrements and carry it out or you can bury it in a hole six to eight inches below the surface. Just be sure that it is at least 200 feet from any water sources and the trail itself. Be sure to look up any rules concerning this as it can change. Preparing your dog for these excursions is vital to an enjoyable experience for both of you. Do this by packing the right amount of food and water based on how long you will be out. Also, consider fitting your dog with proper booties that will protect him or her from unwanted thistles and burrs. Dog backpacks can help keep them comfortable while carrying a proper load of their essentials. How Can a Dog Backpack Help My Dog? According to Kurgo, a website devoted to the safety of your dog outdoors, a backpack for your canine can give them plenty of benefits. • Dog backpacks are great ways for your dogs to build muscle, giving them a great workout and extending their life. • It gives them a job to do on the trail. • These products helps them to focus when outdoors activities are full of critters that they might want to otherwise chase and bark at. • Dog backpacks can help you lighten your load by having them carry their own bowl, first aid kit, water, and more depending on the weight. • Your dog will sleep well from the fun time out with you. What Features Should I Look For in a Dog Backpack? • Breathable back panel to provide ventilation. • Designs that will put the weight over your dog’s shoulders, making it more comfortable and preventing any injuries. • Gear loops to attach items such as bowls to the backpack. • Waterproof zippers for any wet trails. • Sturdy leash attachment locations. • Reflective surfaces to see your dog in low-light situations. • How easy it is to clean. One Tigris Dog Pack is definitely one of the best packs in the market today. It has a lot of features, extra compartments, and it’s made to be super comfortable for your buddy. Your dog can easily carry a few small bottles of water, your keys, etc. The handle is made to move the pack, not the dog itself. What I love about this pack is the fabric which is cotton canvas. It’s not waterproof but it’s very durable. • Padded underside for comfort and durability. • Zippered storage units on both sides with one designed specifically for the built-in waste holder. • Top clear zipper pocket for a visible ID card. • V-ring for easy and sturdy leash attachment. • Adjustable straps to fit your Medium or Large dog. Our Verdict: This is a great dog pack for its multi-functional use. You can take it camping, on long trails, or for your everyday walk. It is made with comfort and durability in mind with padding and water-resistant material. Another great thing about it is the price. You can normally buy it for less than $40 which is a bargain. What a name for a dog pack – Ruffwear! I’m loving it. If you are into investing more money in a dog pack then this one is definitely a great choice. It’s priced around $150 which makes it the most expensive pack in our reviews. You can buy it in three different sizes depending on your dog. You get a lot of features including a two 1-liter hydration bladders. • Five adjustable points of adjustment for a customizable fit. • Saddlebag attachment for optimal storage and comfort. • Cross-load compression to help your dog carry their portion. • Padded handle to help you hold onto your dog securely. • Non-slip girth straps to prevent rubbing against your dog. • Two 1-liter hydration bladders that are collapsible and BPA-free. • Gear loops on the outside for increased carrying spots. Our Verdict: We really like this product because of the customized adjustability and non-slip girth straps. This allows your dog to be happy doing a job without the slipping around of the backpack. Another great product for your dog is the Kurgo Baxter Dog Backpack. If you are looking for a high-quality dog pack which comes with a lifetime warranty then this one is your best choice. For around $50 you get a super lightweight, and comfortable pack which includes a lot of storage compartments. • Durable and lightweight saddlebag to add comfort. • Increased storage with two-sided dog packs for Fido’s essentials. • Multi-use backpack can also act as a harness with rear a mounted leash hook for either the trail or an everyday walk. • Padded handle for you to help your dog in tricky spots on the trail. • Reflective trim along the edges to make your dog visible in low light. • Lifetime warranty to help if there are unwanted manufacturer defects. Our Verdict: This is a great dog backpack for both the trails and around the neighborhood with a reflective trim. This product is also lightweight, adding to the comfort of your furry friend. This is a dog pack with a low profile which stays very close to your dog. If you are worried about the weight you put on your dog, then this product should be in your shortlist. It’s super lightweight, enables full range motion of your dog, and it’s still very versatile and useful. • Saddlebags with a low profile that is held close to your dog’s body. This allows Fido to have a full range of motion. • Five points of adjustment for a customizable fit. • Padding with foam on the chest and belly straps for extended comfort. • Two 0.6-Liter bottles that are collapsible and BPA-free. Our Verdict: This dog backpack is ideal for those who want their dog to be comfortable with a full range of motion. The foam-padded chest and belly straps also help prevent any soreness after a long day on the trail. The Mountainsmith K-9 Dog Pack is a great choice for anyone looking for a high-quality dog pack. It comes in three sizes, includes a lot of adjustments options, and padded sternum for your dog’s comfort. • Four points of adjustments for a proper fit. • Padded sternum to keep your dog comfortable. • Adjustable back harness and belly strap for a happier Fido. • Handle at the top of the backpack to help you hold on to your dog during those more challenging trails. • Two zippered pockets on the side for extra storage. Our Verdict: The Mountainsmith K-9 Dog Pack is a great addition to your everyday walk or out hiking on the trails as it can be customized to your dog’s personal fit. It also has a chest piece that is padded for an added level of comfort. Finding the best dog hiking pack for your best friend can be challenging. 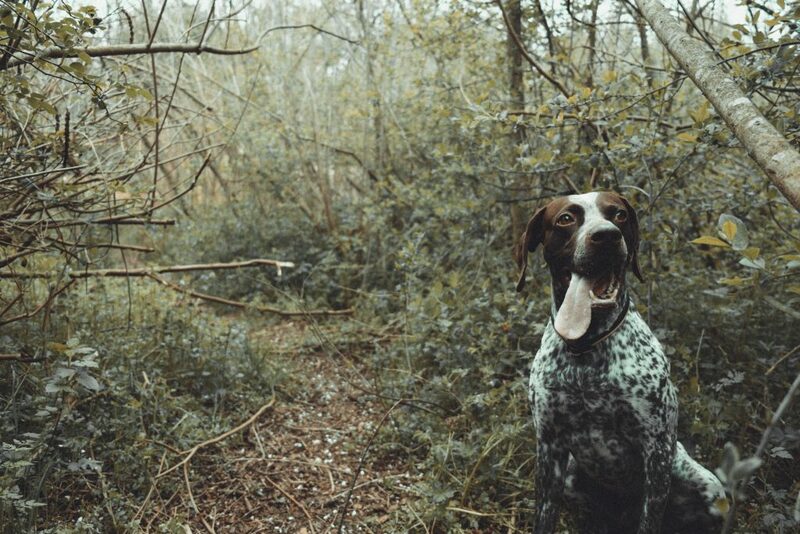 Hopefully, our list has helped you pinpoint one that will make your dog both comfortable and happy while out on the trail with you. Now that you have found a dog backpack fit for your Fido, let’s take a look at how they should be worn. Making sure that the dog backpack is adjusted correctly on your furry friend is key to preventing any injuries or soreness. Follow the steps below, provided by Dog Adventures, or simply watch this Youtube demonstration to let your dog be comfortable. Step 1: Loosen all of the straps on the backpack. This will make it easier to fit to your dog later on in the process. Step 2: Place the pack over your dog’s back. Make sure that the backpack is sitting squarely in the middle of your dog’s back. This will distribute the weight properly. Step 3: Make adjustments to the girth strap located under the bellow. Tighten it just enough so that you can fit two to three fingers underneath. Step 4: Tighten the chest straps. Be careful not to catch any of your dog’s fur as you make adjustments. Again, make sure that you can fit two fingers under the strap. Step 5: Look over the dog backpack. Double check that the backpack is in the right place and that none of the straps are too tight. Your dog needs to be able to move freely while out on the trails. Step 6: Go out and enjoy your new trail partner! Be sure to check one more time while out and about to make sure that it fits correctly. Taking your dog on the trails can be a rewarding experience for many reasons. You both will be happier and healthier at the end of it. Your dog and you both will have a nice backpack for hiking. Be sure to study up on any of the laws regarding trail etiquette, always being polite and courteous to those you meet along the way. This includes wildlife, which should not be disrupted. And of course, make sure to find the best dog pack for your companion. One that can be adjusted properly and prevent any soreness later down the road. Nature with your best friend. What’s better than that?